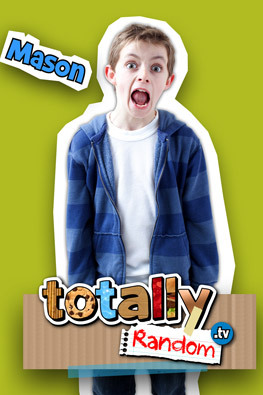 Totally Random is a hilarious skit-comedy television series and interactive website for kids 7-11. It is an online entertainment experience where kids can express themselves without limitations or expectations. The proprietary technology that drives the site allows for a safe and reliable experience to explore individual creativity, innovation and imagination while sharing the experience with a larger, social network of kids. Get ready for SnowBalls, jelly beans and dinosaurs. 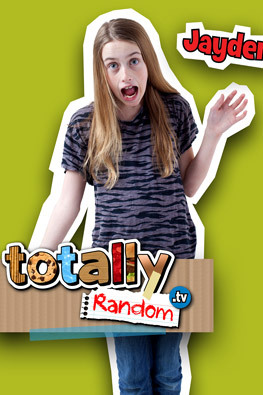 Introducing Totally Random, a hilarious sketch-comedy webseries for kids 7-11! In this episode, learn what TotallyRandom.tv is all about and find out what happens when the Internet breaks. In this episode of Totally Random, Mason practices his voice for the World Wide Web and Ryley ends up floating in the black abyss of digital coding while on a mission to find the clicker. Hey Totally Randomers! The TR Kids are throwing a party, and you’re invited! Witness the ultimate food fight of all time. Don’t get too close though… the lockers get a little queasy about being back at school. Get ready to exercise your funny bone! Ryley gets into the ring to fight for the “SnowBall Stallion” title with a little help from coach Jayden. Nibbles and Jack get into a squabble over the price of plastic bags at the hardware store and Ryley tries to be the Internet’s next greatest superstar with the debut of her first music video for “ONE EARRING GIRL” with the help of Jayden, Mason and rapper Devin Atherton. Jayden tackles a science project with the help of her lucky black thumb and the sneaky magic of a garden gnome. Strange things happen when the gnome escapes and takes over the TR Hangout! Tune in to find out what happens when the Flower Power gets out of hand! When the last living dinosaur’s life hangs by a thread, only a desperate plea for cash will keep him alive. But money isn’t the only obstacle. Will they overcome the odds and keep the last living dinosaur alive? Tune in for some totally triassic randomness! In a world where the internet has lost its connection… only one man… er, boy… can find the truth… But will his skill with the ladies interfere with his ability to solve this mystery? Or will his passion for payment prevail? Find out if super sleuth Mason P.I. can help his damsel sisters in distress or if the lost connection will destroy the world as we know it.